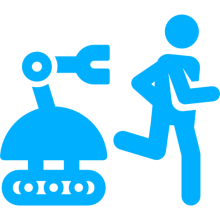 1oT is excited to announce that it will feature a new blog post series - IoT Hacking Series. We want to bring insight into cellular hardware with technical blog posts and DIY hardware projects, that can be fun to experiment but also helpful to start with your product prototyping. Let’s kick off this series with a hardware guide for newcomers! Meet 1oT at Smart City Expo World Congress! 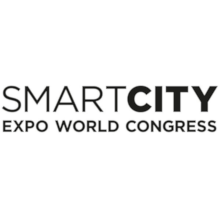 We're excited to announce that 1oT will be exhibiting at Smart City Expo World Congress in Barcelona, Spain from the 13th to 15th of November! The event will be held at Fira Barcelona Gran Via where more than 890 exhibitors will showcase their solutions. Let's meet in Barcelona! 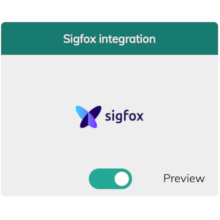 1oT is proud to announce that we have completed integrations with Sigfox so that you can now monitor your Sigfox connections alongside your existing cellular connections on our Terminal platform. The beta version of the Sigfox app is now available in the Terminal App Store alongside our other value-added services and apps. 1oT is excited to announce a new app on 1oT Terminal: Productivity Toolkit. 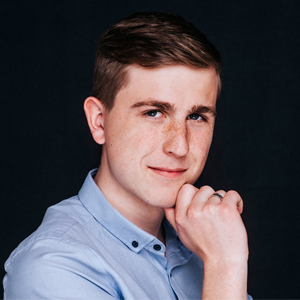 This app makes it possible to manage SIMs via bulk actions, perform bulk changes via .csv upload and add tags to the SIMs. 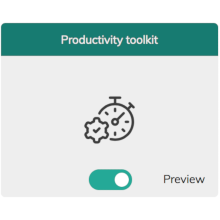 The Productivity Toolkit will be available to our clients starting from August this year. 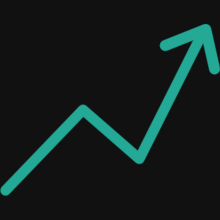 NarrowBand IoT and LTE Cat M1 are the hottest keywords when it comes to IoT connectivity in the last two years. 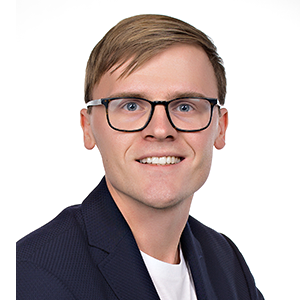 More and more cellular module makers are offering them, clients hear about the benefits and want to deploy them, carriers themselves are heavily advertising them. After all, the GSMA has standardised and licensed them and 51 commercial Mobile IoT networks are already deployed. So, is it really time to say goodbye to 2G, 3G, & 4G modules and instead deploy devices with NB-IoT or LTE Cat M1? 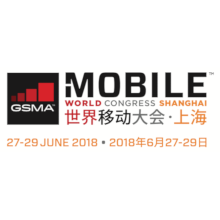 1oT is proud to be attending the Mobile World Congress Shanghai event from June 27-29, 2018. 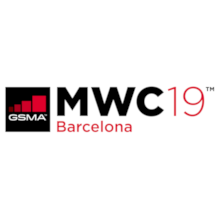 As one of the leading industry events, MWC Shanghai will bring together the leaders and innovators in the mobile and connectivity fields from Asia and around the world to discuss the future of connectivity. 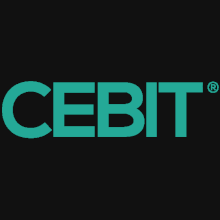 We're excited to announce that 1oT will be attending CEBIT in Hannover, Germany from the 12 - 14 June! The event will be held at Deutsche Messe and more than 3000 exhibitors will showcase their solutions there. Let's meet at the biggest innovation and digitization festival in Europe! So you want to be able to develop a bike-sharing service, or perhaps you have another inventive sharing concept in mind. There is an obvious need to track and maintain the products that you have put into the world, and this is one of the many areas where the Internet of Things and sharing economies go hand in hand. 1oT is excited to announce a new app on 1oT Terminal: KPI Reporting. 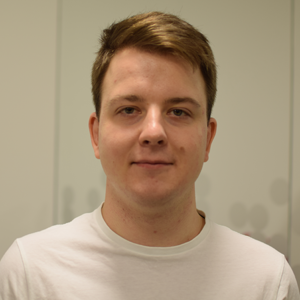 This tool that makes it possible to track all the important SIM metrics, compare them to earlier periods and send the reports automatically to the relevant parties. 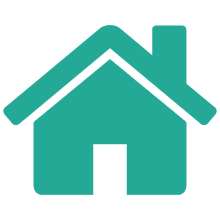 The KPI Reporting app will be available to all of our existing clients starting from the end of June 2018. 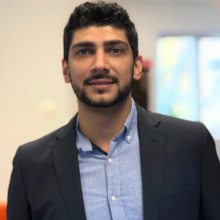 1oT, the leading global connectivity provider for IoT device makers, announces it has made its service machine-readable, enabling smart devices to select and purchase their own connectivity without the interference of its owner. 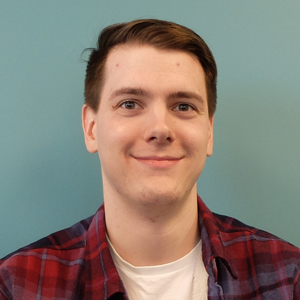 Whether you’re in the prototype phase or have already developed a wireless IoT or M2M device to bring to market, the task of navigating the maze of certification in North America may seem daunting at first. The proper certification is as important as any other step in designing a wireless device and preparing to launch it. 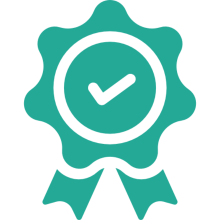 While certificates can seem like an afterthought or the last step of product development it is important to remember that missing certificates can cause setbacks in getting products to market according to your timeline. 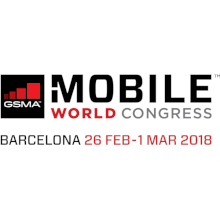 We’re pleased to announce that 1oT will be attending Mobile World Congress 2018 (MWC18) in Barcelona from 26 February - 1 March 2018. 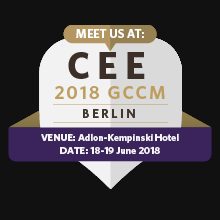 It is the world's largest exhibition for the mobile industry and a conference featuring prominent executives representing mobile operators, device manufacturers, technology providers, vendors and content owners. The end of dual-SIM in IoT!? 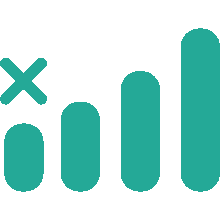 Everybody has experienced Dead Zones and areas with bad reception for certain telecom's networks. 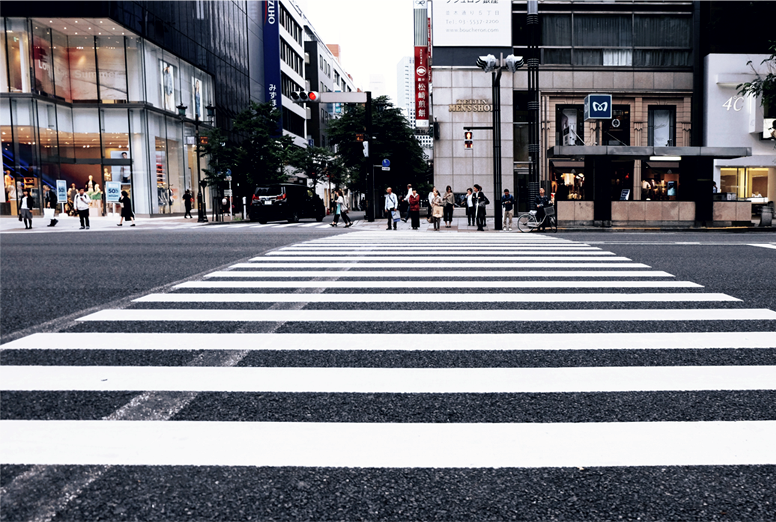 As companies are deploying their devices in multiple regions & cities, and more and more IoT devices are finding its way to rural areas, the risk of having bad connectivity is high. 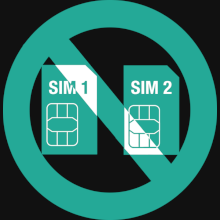 That is why many device makers have decided to insert two SIM cards, from different telecoms, to ensure good connectivity whether the device is in a big city or in the middle of nowhere. Unfortunately, this means getting two bills for every device deployed, doubling the costs. 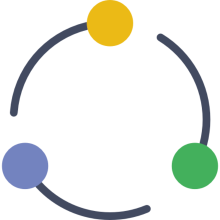 Developing IoT products is a multifaceted process - writing software, designing hardware, connecting it all to a cloud. There are many points that can go wrong, which is why it is really important to have good tools for debugging. If the problem is somewhere between the network and the modem, this article might help. Latest Craze in the US and EU: E-Bikes! 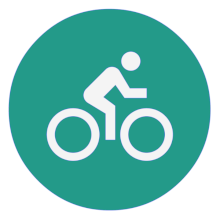 If you are living in an urban environment, you probably run into bicycles on a daily basis or perhaps even ride one. Something you might have noticed is that more and more bicycles around us are gaining extra features like electrical motor in the rear hub, smart turn signals, GPS tracking or smart bike locks integrated to them. It is quite easy to spot a bulky frame or big battery attached to a bicycle. Should You Be Concerned About Your IoT Data Privacy? In this day and age, people are constantly surrounded by devices that are online. 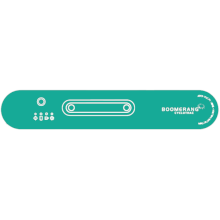 Usually, it is a phone or a computer but with the growing popularity of different smart home solutions, this device can be a microphone, a camera or something simpler like a temperature sensor or a lightbulb. Apart from being connected to the internet, these devices have one other thing in common – they make our day-to-day life more comfortable and convenient. 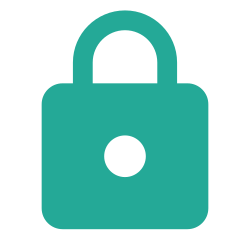 While really useful, this creates vulnerabilities that might enable your data to fall into the wrong hands. Are You Ready for Roaming Like at Home in the EU? In case you didn’t know, the European Commission has been working in the recent years (they started in 2007!) to abolish the often ridiculously expensive roaming charges within the European Union countries. That is a very important step towards the bigger goal of converting the EU into a Digital Single Market. 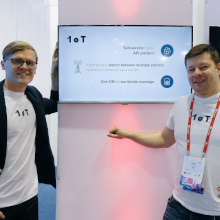 1oT is becoming the leading global connectivity provider for Internet of Things (IoT) startups and is especially proud of its strong market presence in connected light vehicles segment. 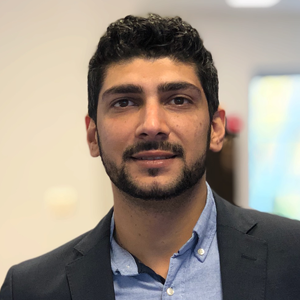 1oT's global SIM cards and self-service based connectivity platform called the 1oT Terminal are being used by hundreds of smart IoT startups all over the world. 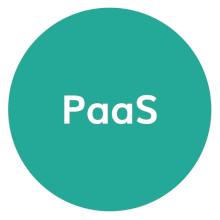 With this release, 1oT is not only strengthening its position among smaller and medium sized IoT device makers, but is unlocking its platform-as-a-service (PaaS) to large market players, including Mobile Network Operators (MNOs). 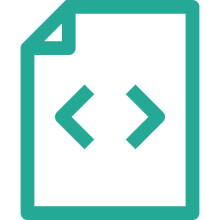 The 1oT Terminal is a platform where cellular-based IoT devices can be monitored and managed hassle-free. In this post we wish to introduce basic functions users can apply on the platform and show how our web based application looks like (as of August 2017). GSM / 3G / 4G (LTE) - Which One to Choose for Your IoT Project? 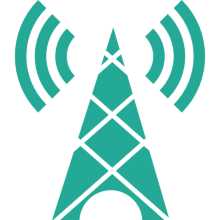 The evolution of mobile networks infrastructure and protocols go back a long way and every new generation of mobile network has served new opportunities for end users. 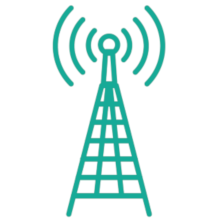 As of today we have three concurrent network types in use: 2G, 3G and 4G. But, when it comes to picking the right network type for your cellular-based IoT project, decision-making might get tough. Which one should you go for? WTH is a Botnet and What Bad Does It Do? A botnet is a network of computers, all infected with the same malware that enables the attacker to control them. It is usually carried out through a command-and-control (C&C) server, but there are also some peer-to-peer (P2P) botnets. 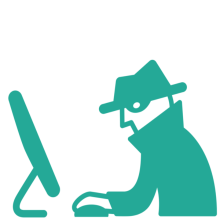 Botnets are often used to perform distributed denial-of-service (DDoS) attacks, send spam and to infect other devices to grow the botnet. 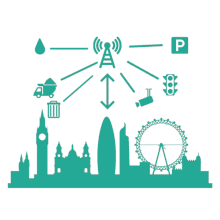 NarrowBand IoT (NB-IoT) - the Future Leader in the LPWAN Space!? 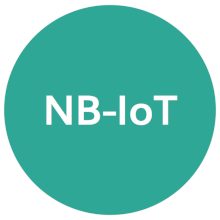 NarrowBand IoT, also known as LTE Cat NB1 or LTE-M2, serves the need to better accommodate IoT use-cases with large numbers of devices and low data requirements. This wireless network technology is expected to dominate the Low-Power WAN (LPWAN) field in 2-3 years time and overpower other players like Sigfox and LoRaWAN. 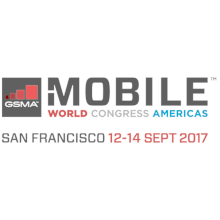 1oT team will attending Mobile World Congress 2017 (MWC17) in Barcelona, from 27 Feb - 2 Mar 2017. 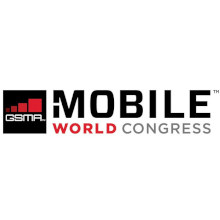 It is the world's largest exhibition for the mobile industry and a conference featuring prominent executives representing mobile operators, device manufacturers, technology providers, vendors and content owners. 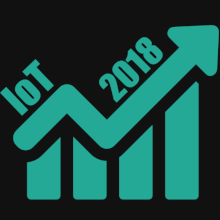 Dropping mobile data prices together with development of eSIMs (eUICC) and soft-SIMs that make switching between mobile carriers dynamic and easy, are creating more and more new business opportunities for emerging Internet of Things (IoT) device manufacturers (OEMs). 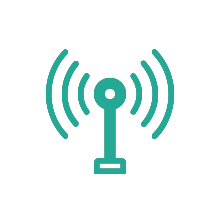 Devices that have never been connected to internet before can now be connected to a cellular network easily and affordably. Differences between SIM types - which SIM to choose? 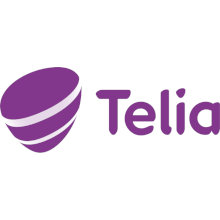 Cellular connectivity is the most reliable and widespread connectivity method for IoT (Internet of Things) and M2M (Machine-to-Machine) devices, but in order to identify a device to a carrier, it needs a Subscriber Identity Module, or as most people call it, a SIM. 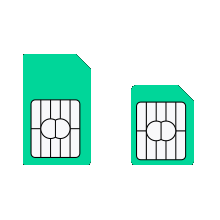 The size and type of SIM you need to select depends on device's purpose, functionality and space available to host a SIM card or chip. 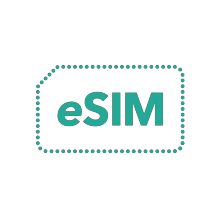 eSIM (eUICC) is the future of SIMs!? One of the barriers, that stops IoT device makers from adapting cellular connectivity, is the physical SIM card, which locks the devices to a single mobile carrier. 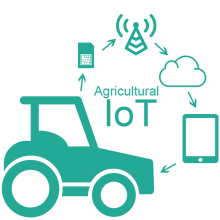 1oT has solved this problem with its carrier-switchable SIM solution (read more about it here). However, things get even easier with eSIMs (eUICC). With that technology, we will see devices that have never been connected to internet, become "smart" within the next three years. 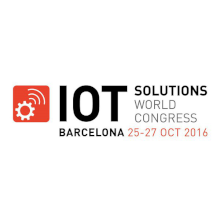 1oT team will be attending IOT Solutions World Congress 2016 (IOTSWC16) in Barcelona, from October 25-27.